Wyoming Dept. 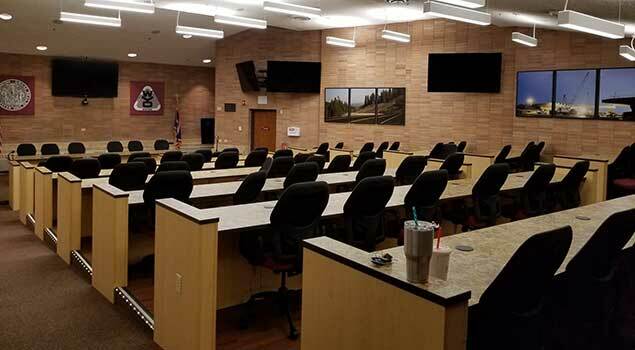 of Transportation - System Technologies Inc.
System Technologies has equipped the Wyoming Department of Transportation’s auditorium with Shure wireless boundary microphones, high quality PTZ cameras and a Phoenix Technologies Octopus audio interface for video teleconference meetings which are live broadcast out to the nation. All video matrix and switching is done by Crestron and controlled by a Crestron touch panel. STi has also incorporated a Listen Technologies assisted listening system for disabled audience members.